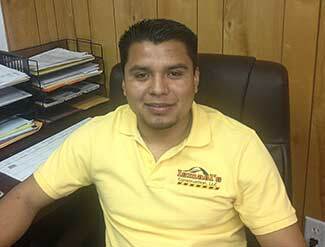 I am Ismael Rodriguez, owner of Ismael's Construction. We have been in the construction business for over 10 years. In fact, I started Ismael's in 2009 after having worked for other construction companies for more than 7 years, where I grew from a laborer to machine operator to supervisor. 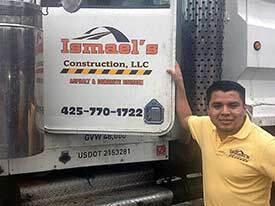 Ismael's was started out of prayer and necessity, when the economic downturn got me laid off. In spite of the bad economy I have grown Ismael's from just me to a company of over 10 employees in less than 3 years. We specialize in asphalt paving, seal coating, striping and concrete work. Our Company is based on a quality of work that not only satisfies customers, but also satisfies me. We always look for the best solution for every project, making sure that it is going to last longer while fitting the customer's budget. We remain in business and continue to grow as a result of our great repeat customers and their referrals. We currently serve property management companiess, businesses, builders and home owners. Customers are only one of the important components of our business. I am very proud of our employees and the quality of work they do. Many are heads of their household and I am aware that I am the one helping them put food on the table. I really like knowing that I am contributing to the community, treating my employees right, and as a result they are treating our customers right. Ultimately, we all win. Our Company is very cautious of safety. All our employees wear uniforms, keep our equipment clean and in top shape, and pay attention to safety. Every crew is lead by a foreman and I personally visit every site every day to make sure everything is going right. That is what our business is all about and I'm proud of it. You will see the difference. Do You Have Spoiled Concrete?